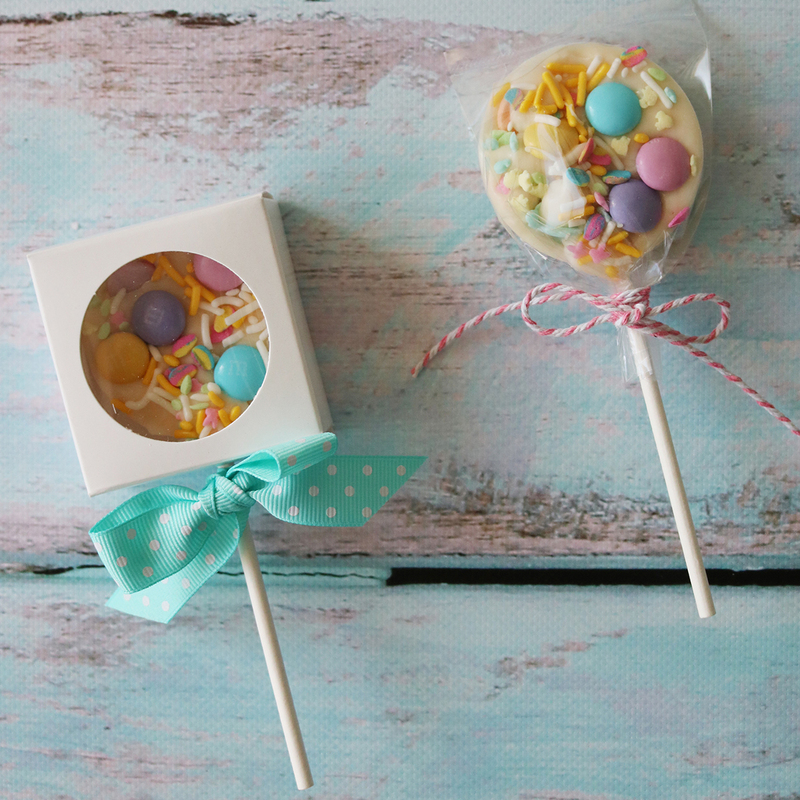 I am so excited to share two of my favourite DIY edible projects with you today. Not everyone has the time (or the skills) to make all of the pretty edible sweets that we see on Instagram. 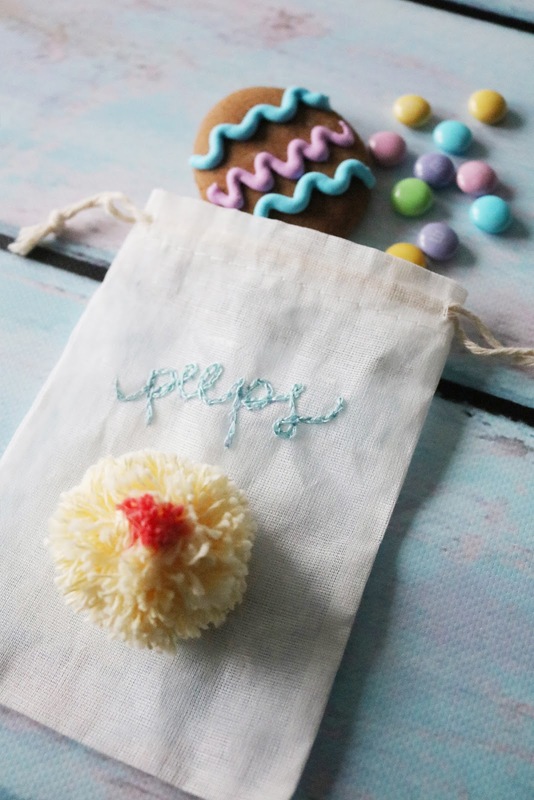 Taking a cookie decorating workshop has been at the top of my "wish list" for a while. 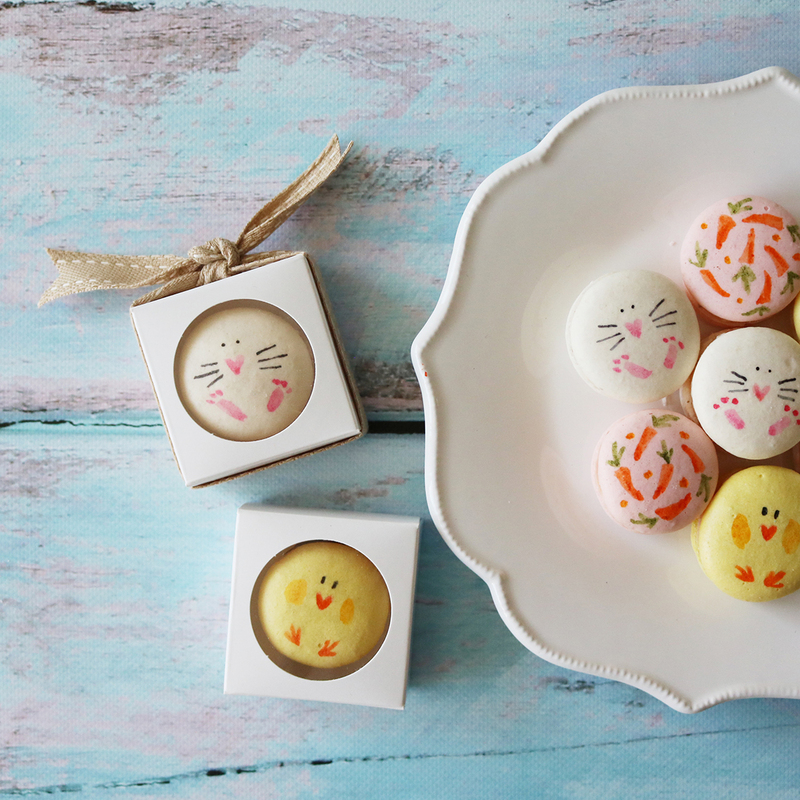 For now, I am happy to just add hand painted details to pre-made macarons and create these simple candy treats. 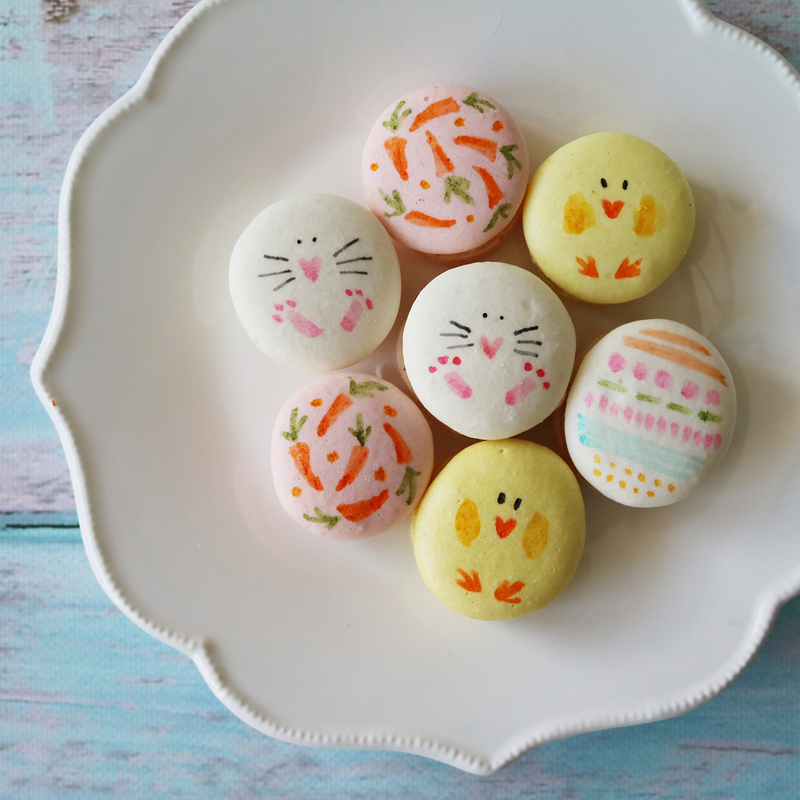 My Easter themed hand painted macarons are very easy to create using vodka, gel food colouring and of course pre-made macarons. My macarons came from Macaronz. I should point out that the colours of the macarons were more important to me for this project than the flavours. 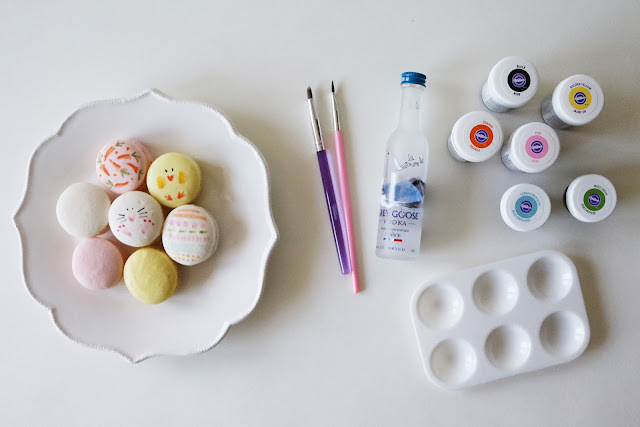 Here's the supplies that you'll need to paint on macarons: vodka, gel food colouring, paint brushes for baked goods and a small paint palette. 1. Painting with gel food colouring and vodka is very much like working with watercolour paints. Add a small amount the gel food colours into the paint palette and water it down using just a little vodka. The more vodka you add the more "watered down" the colour will become. 2. 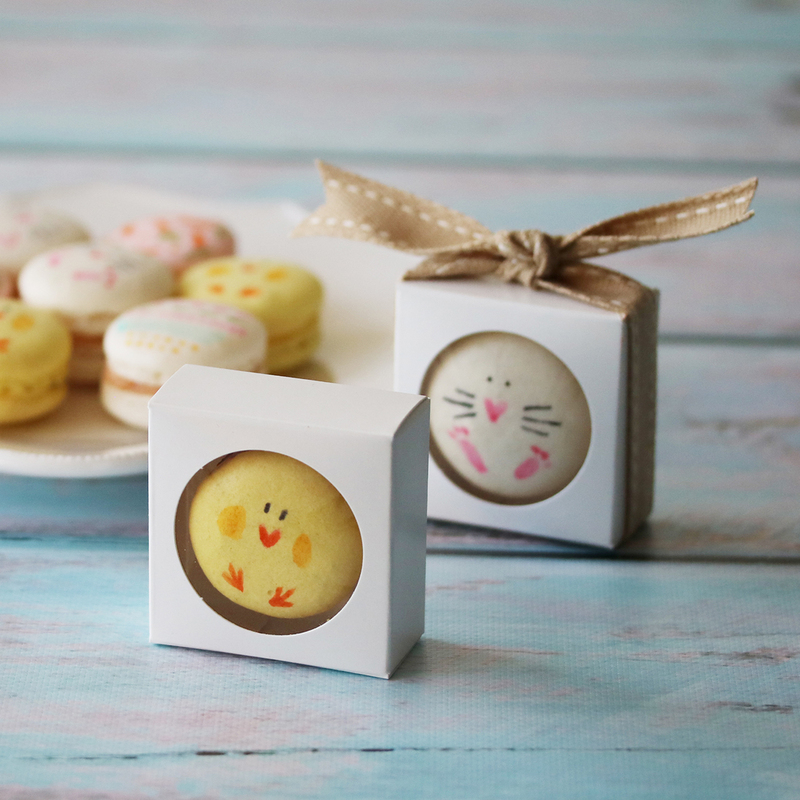 Paint your design using the food safe paint brushes on the macarons. And that's it! Pretty simple right? 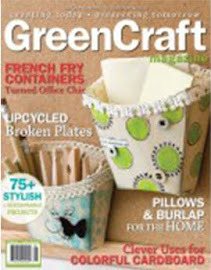 You can use my examples as inspiration to make these yourself or come up with your own designs. Note: The vodka paint does not make the macaron soggy and it does not change the taste of the macaron. From everything that I have been able to research on this technique, the vodka evaporates so it's safe to give these to children. 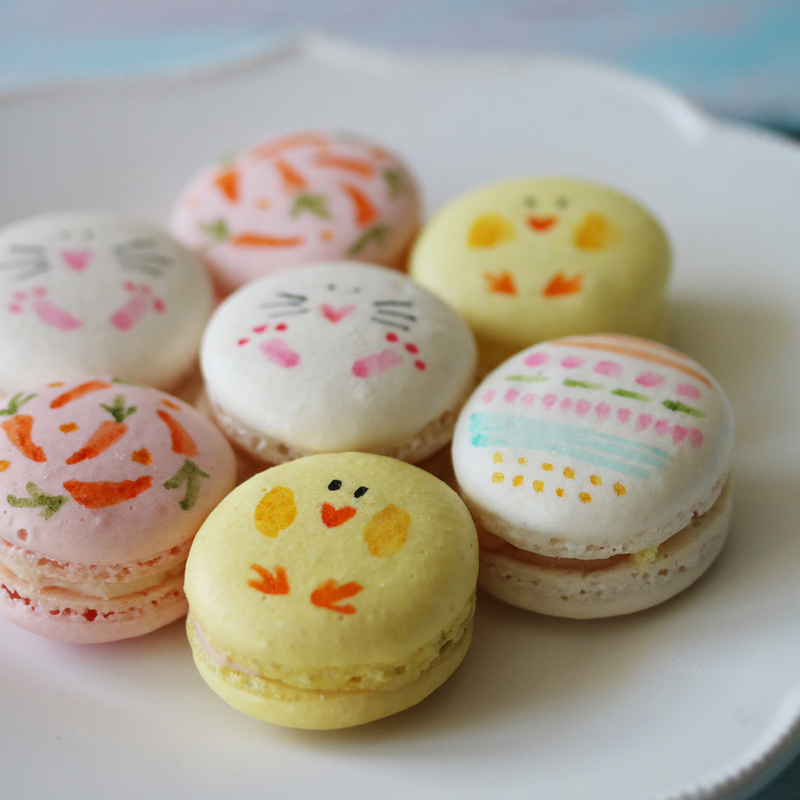 My Easter themed macarons included a chick, bunny, and whimsical decorated egg and carrot patterns. 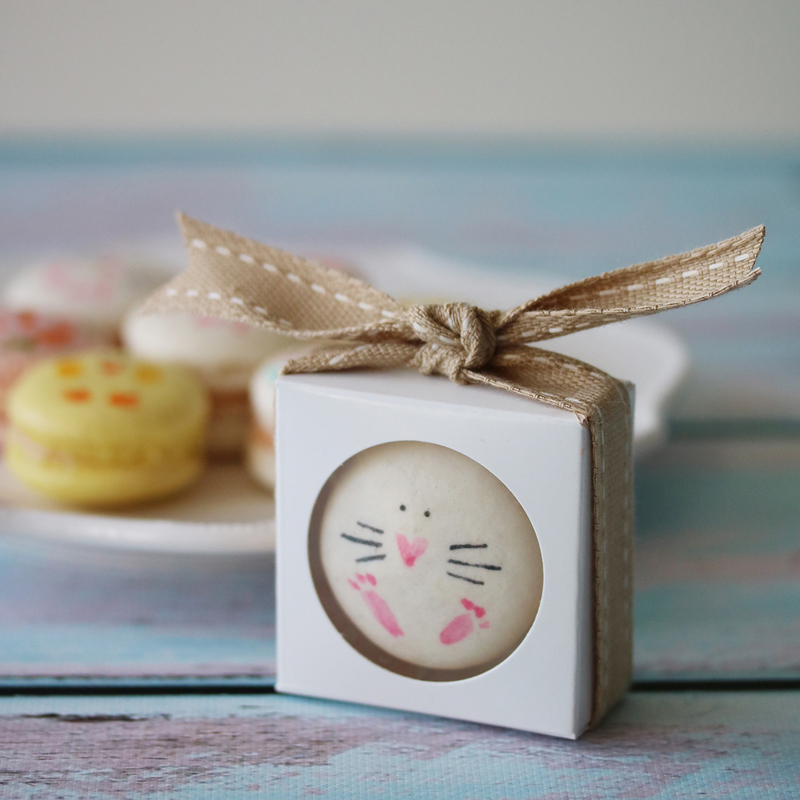 If you want to use these painted macarons as party favours head over to this blog post for packaging ideas. I love candy melts and they are a basic baking supply that I stock in my pantry all year round. 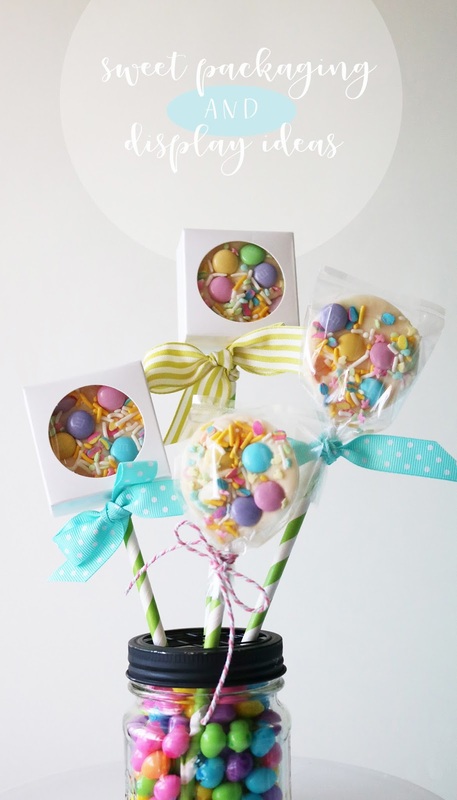 I used vanilla chocolate candy melts in lollipop molds to create these pretty and easy Easter theme candy treats. 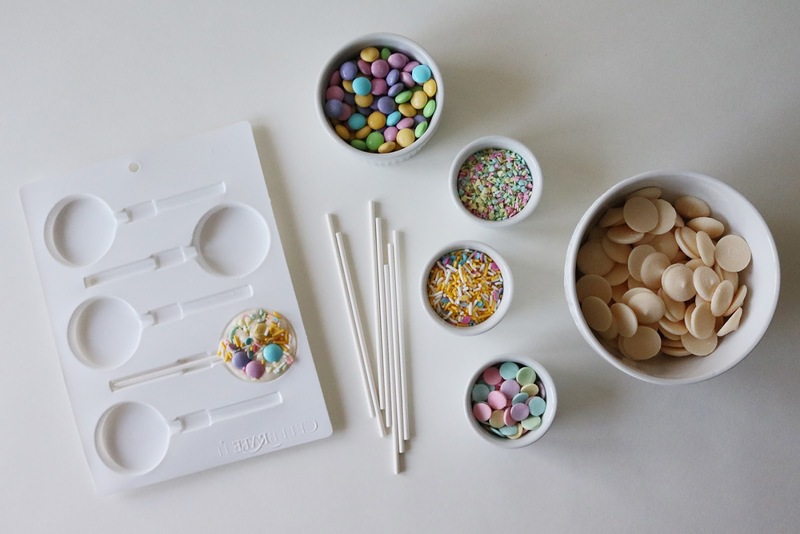 Here's the supplies that you'll need : lollipop candy mold, lollipop sticks, (vanilla) candy melts, chocolate M&Ms, assorted candy sprinkles, microwave safe containers. 1. 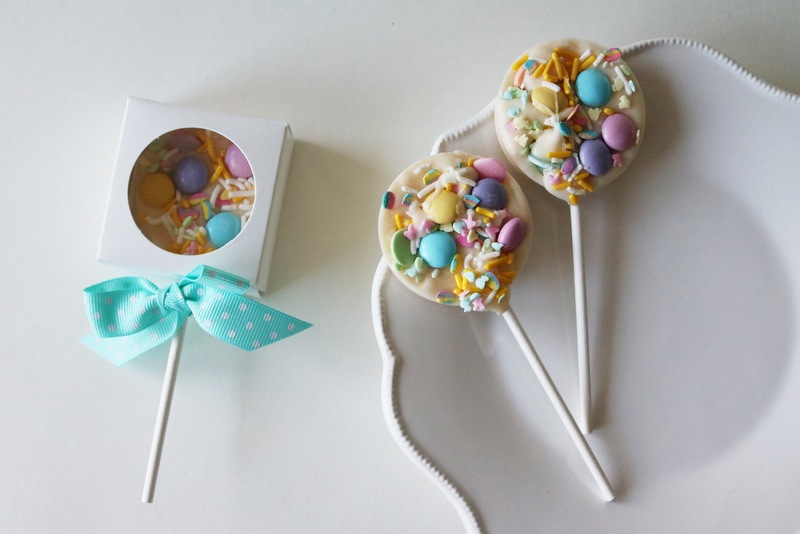 Place the lollipop sticks in the candy molds. 2. Melt the candy melts as per the instructions on the package. 3. Pour the melted candy into the candy mold. 4. Working quickly before the melted candy hardens in the molds add sprinkles and M&M chocolate candies to decorate. 5. Allow to completely harden for an hour. Pop them from the molds and you are done. I think that these would make wonderful party favours and you can find more information on how to package these in this blog post. 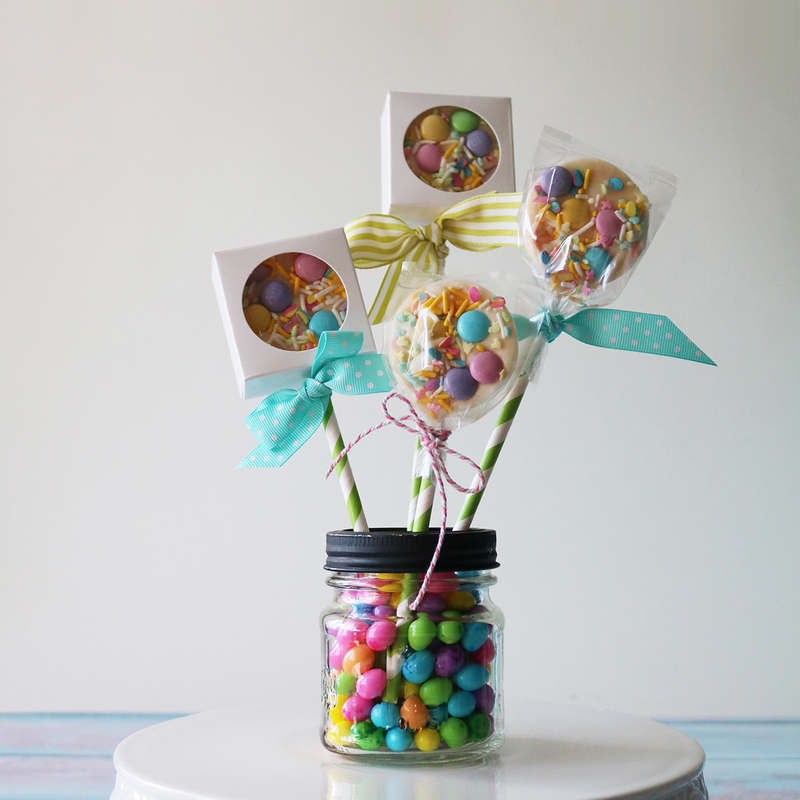 I like to display sweets on sticks in jars filled with candies or coarse sugar. This display idea works whether you are serving these (unpackaged) treats on a sweet table or setting them up as a favour/take away. 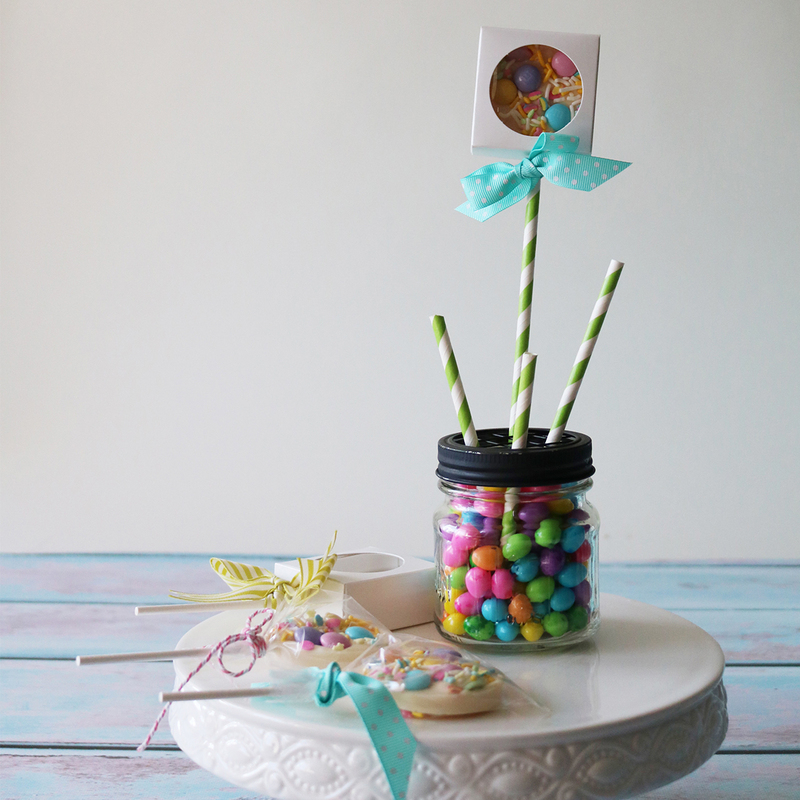 Tip: I use paper straws that have been cut to different heights in the jar to hold the lollipop sticks in place and add to the visual presentation. Have a sweet (long) weekend! 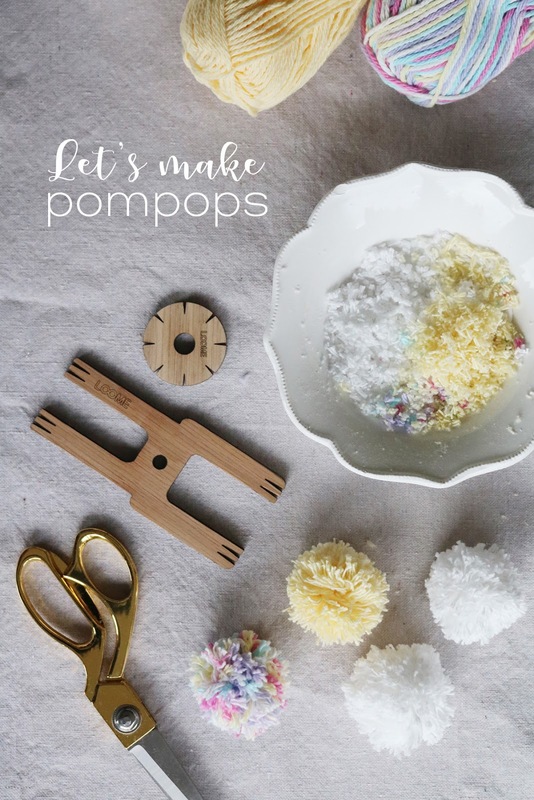 In my last post I showed you how to make your own pom poms using The Loome pom pom tools. 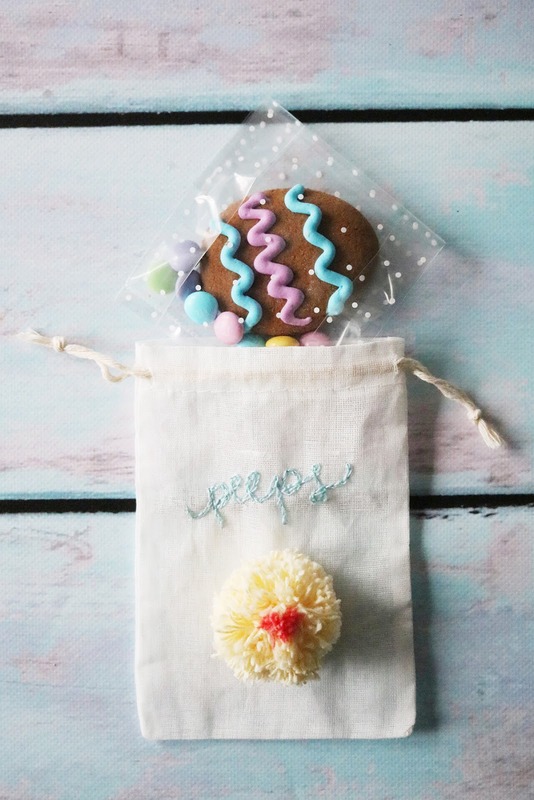 Today I thought that I'd show you some of the Easter themed projects that I created using my pom poms. 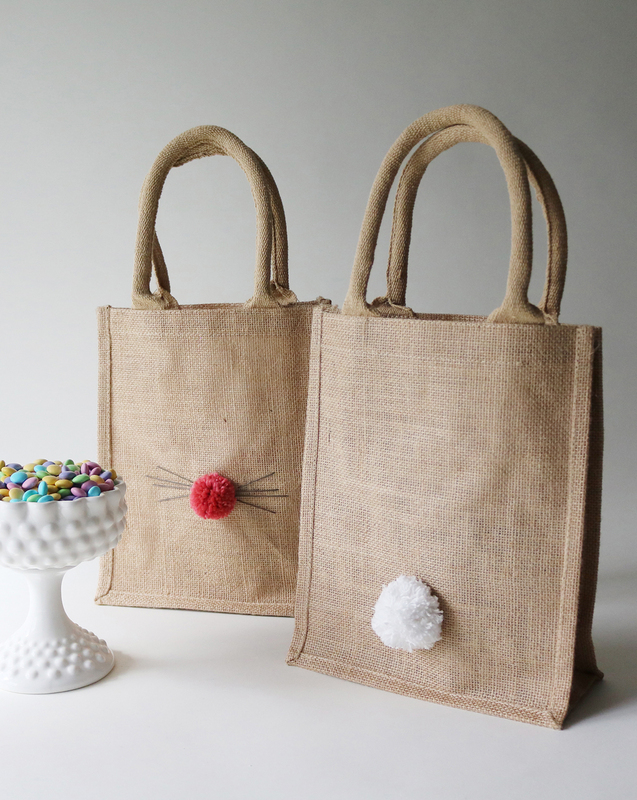 I placed pom poms on these burlap tote bags. 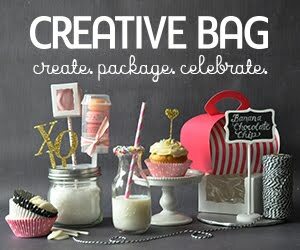 I think that these tote bags would be so sweet for an Easter egg hunt. Finish the front and the backs of the bags or just add a pom pom to one side ... there's no right or wrong. On the front: a small pink pom pom along with a few hand stitched whiskers. On the back: a larger white pom pom. 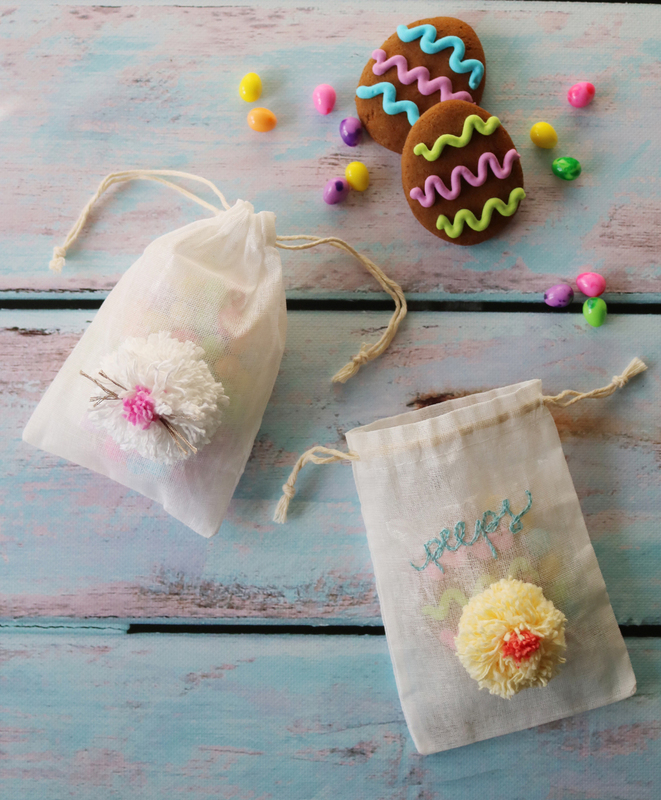 Turn plain muslin drawstring bags into Easter favor bags by adding pom poms. I added a small punch of colour to the pom poms to represent a bunny nose and a chick beak. 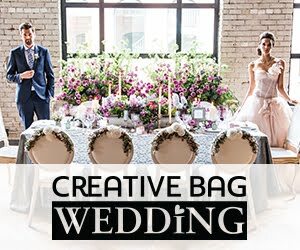 It was easy to add an embroidered word to the muslin bag for another fun detail. Tip: I used disappearing fabric ink pens to write out what I was going to embroider. 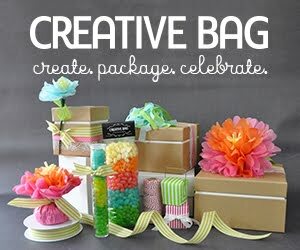 Tip: If you are going to use fabric bags to package edible items you should package the food in clear candy bags first. 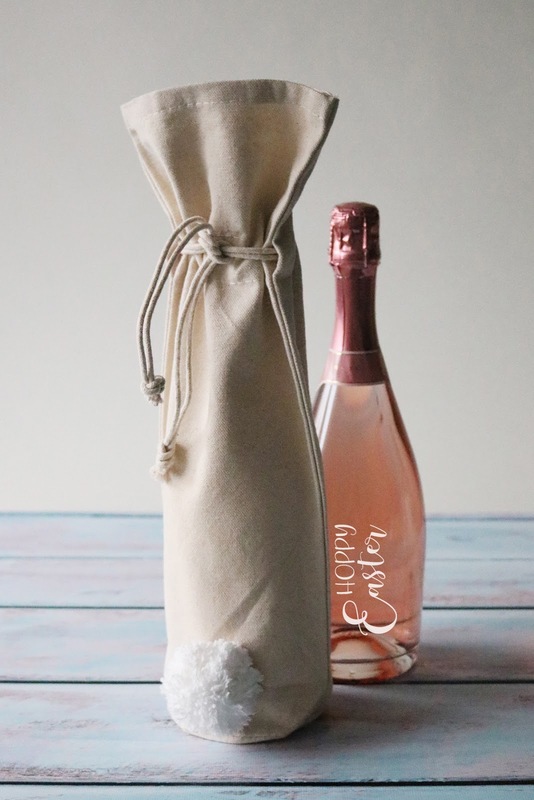 Turn any plain wine bag into an Easter theme wine bag by adding a pom pom to the bottom of the bag. 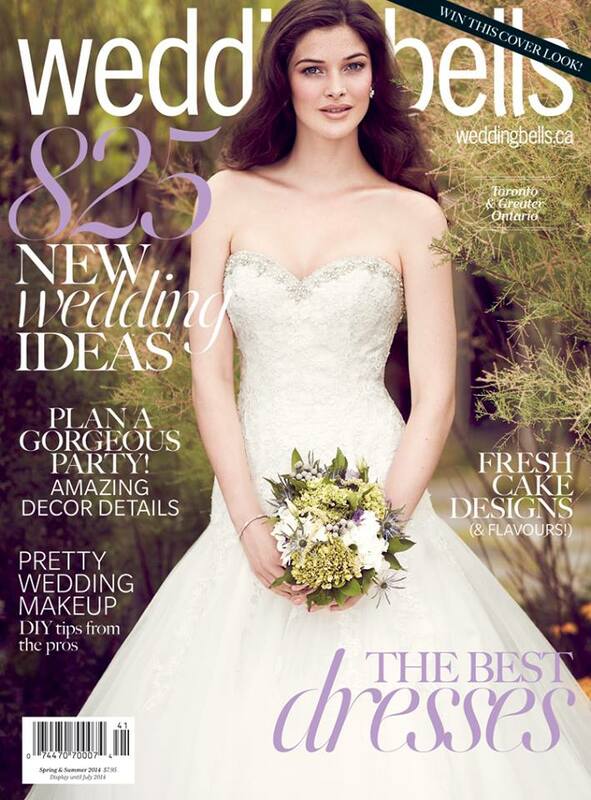 Who wouldn't love to receive this as a hostess gift on Easter weekend? Tip: Sew the pom pom in place with a few stitches so it will not fall off. 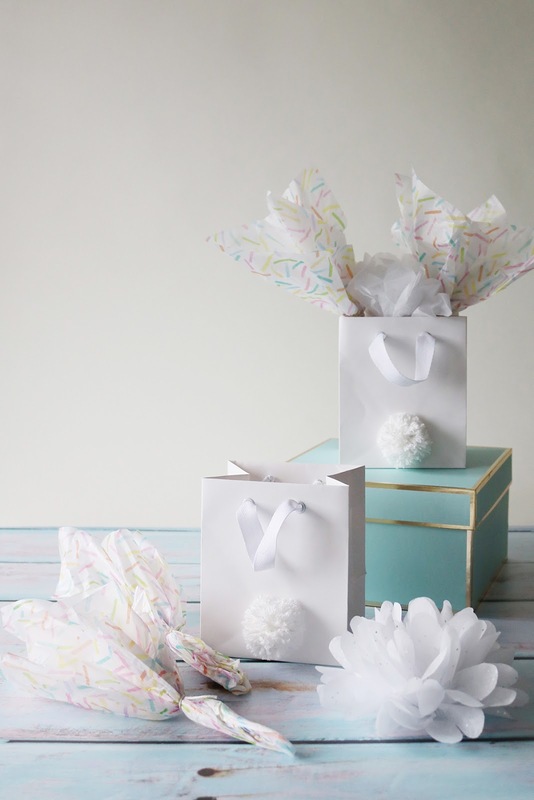 Pom poms can be added to plain paper shopping bags using glue. 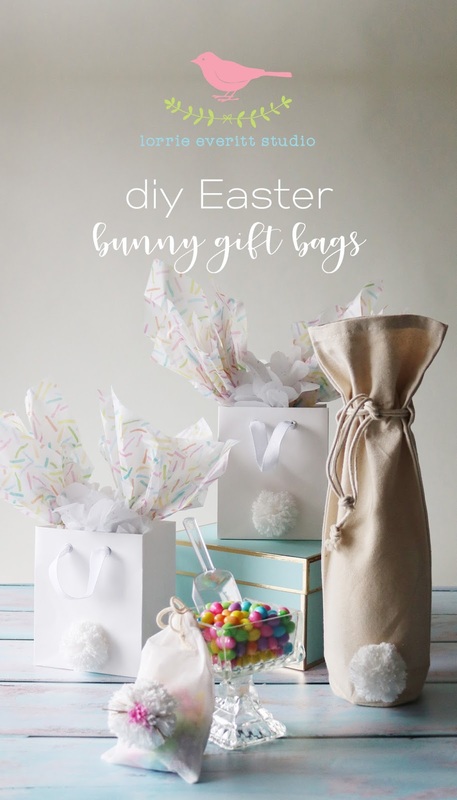 I created tissue paper pom poms and tissue paper bunny "ears" to make my gift bags a little more special. 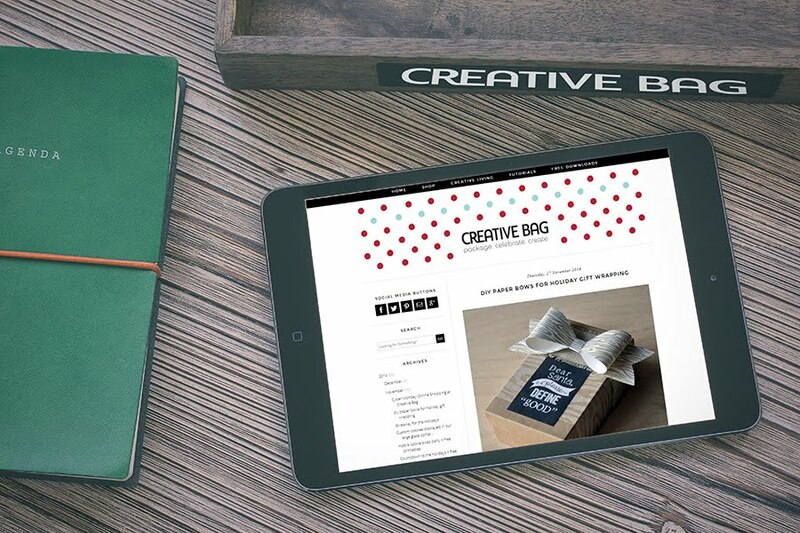 I've been wanting to try out The Loome Tools ever since I found out we'd be getting one of them in our swag bags at the Create Now Summit this May. Thanks to Melissa and arounna, I was able to try out the Loome Pom Pom and Tassel Maker and the Loome Pom Pom Trim Guide a little early so I could add some handmade pom poms to a few of the Easter DIY projects that I'm working on. 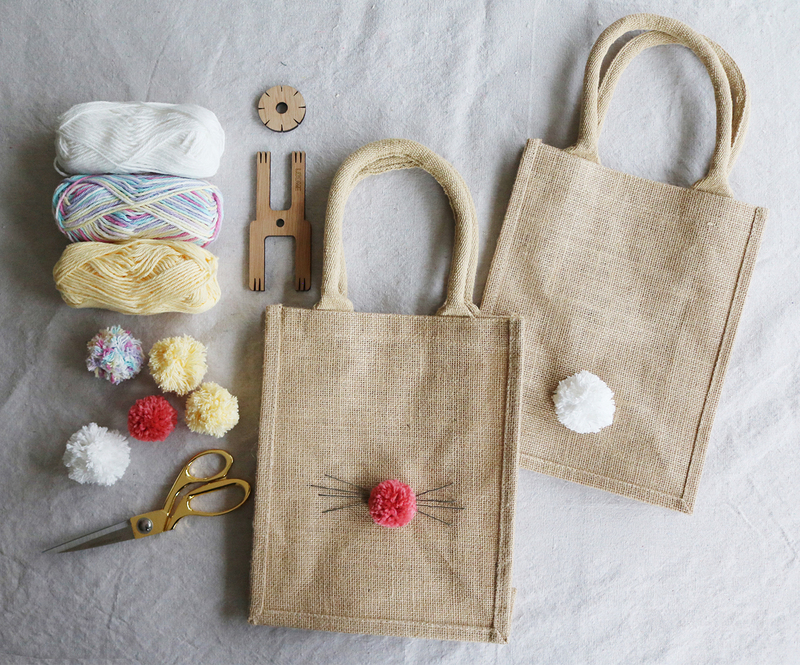 You'll need the Loome pom pom tool and pom pom trim guide, yarn and scissors. 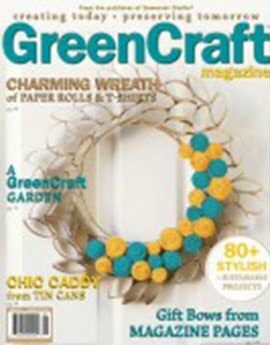 cut loops on both sides ..
continue trimming until you like the shape of your finished pom pom! 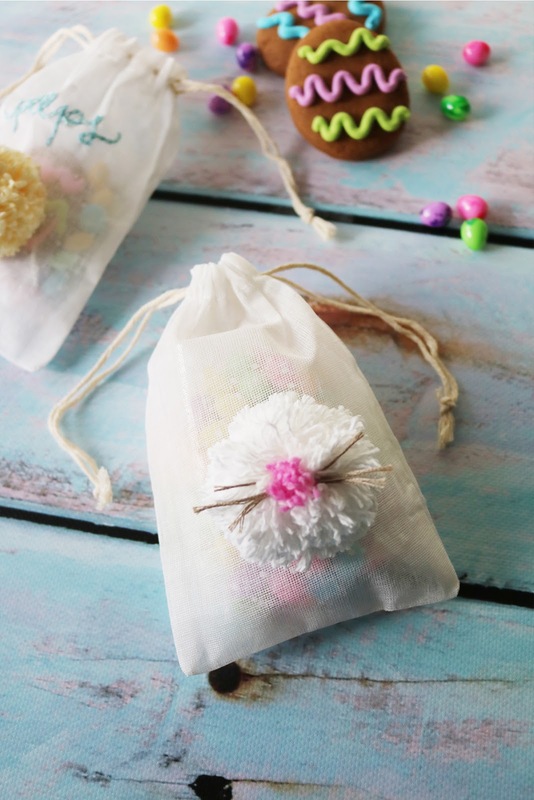 Check back to see how I used these pom pom on with of my favourite Easter packaging supplies from Creative Bag. 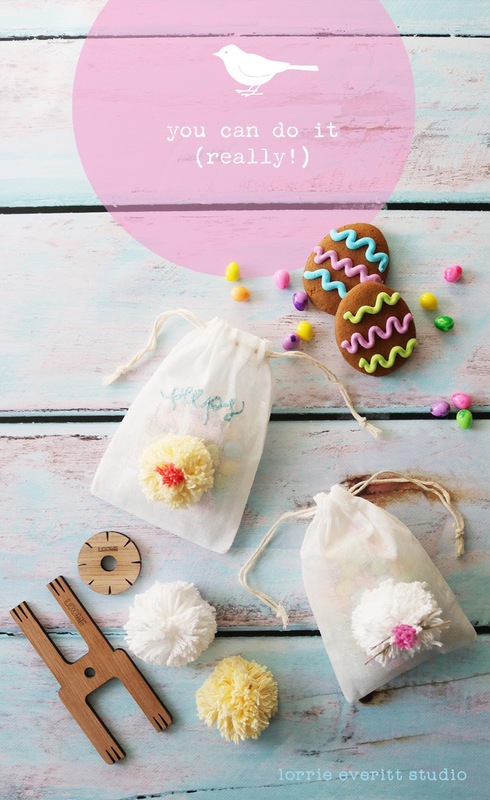 Note: I used cotton yarns to make these Easter themed pom poms. 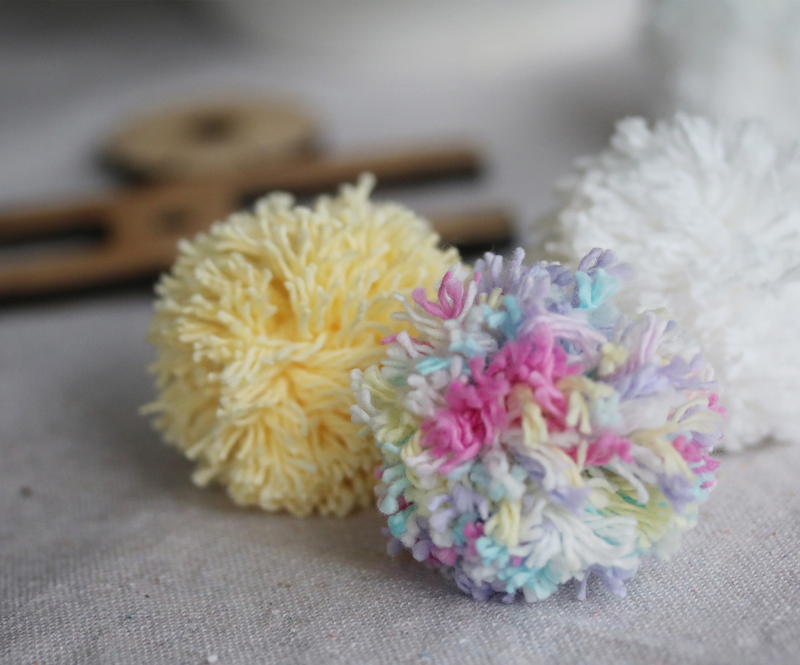 The finished pom poms were not as dense and fluffy as pom poms made with wool yarns but I think that they are perfect for my spring time projects.